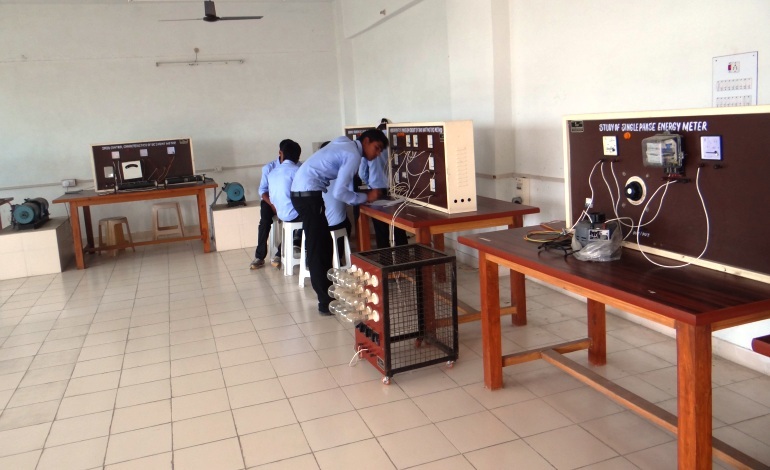 Electrical & Electronics Engineering (EN), deals with the engineering problems, opportunities and needs of electrical and electronics related industries. This branch provides students with a wide range of fundamental knowledge in core disciplines such as microelectronics, power generation, transmission, distribution, power system design and electrical machines. Electrical & Electronics Engineering is mostly oriented towards electrical engineering and encompasses electronics only as much required. Electrical & Electronics Engineering is all about the big or macro electrical products you see around yourself who encompasses areas such as power generation systems, transmission systems and distribution systems. We offer education from the general to the very specialized in a well-equipped department. Electrical & Electronic Engineering and its associated disciplines are the key enabling technologies for progress in the 21st century and I see our graduates will be in high demand from employers. By investing in both modern electronic hardware and knowledge through faculty research and training, we make sure our institute is up-to-date. So come to ABSS for the best start to your future career.